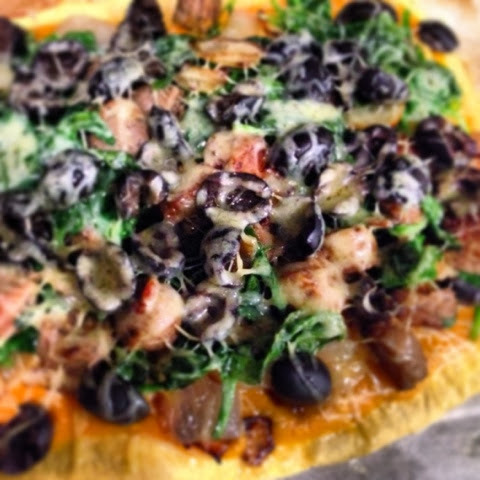 Here is another recipe I get asked about all the time, grain/gluten-free pizza! It was definitely a "we're going out of town for the holiday, time to use up what is in the fridge" pizza this time but it turned out delicious! 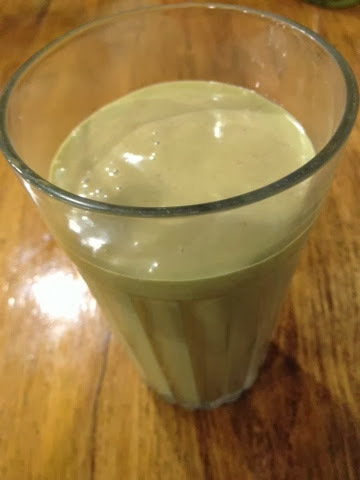 I also thought I would share the green smoothie we had with our pizza tonight (a great way to sneak more greens in the day), along with the Macadamia Nut Coconut Cookies I made to take to Thanksgiving dinner #1 tomorrow evening (along with a veggie of course)! Yum! Yum! Yum! Whatever you want :) This time I used homemade pizza sauce, cooked onions, sausage, spinach, olives, & cheese. Preheat oven to 350. Whisk eggs and salt together. Add the coconut flour a couple of tablespoons at a time until it is the consistency of play dough. 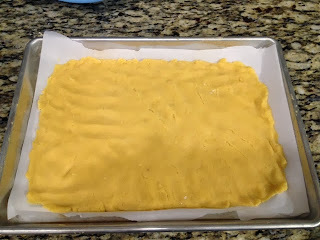 Line a baking sheet with parchment paper and spread out the dough. Bake for 10 minutes, flip crust over and bake another 10 minutes on the other side. While the crust is baking, prepare and heat up toppings. After the crust is cooked, put the desired toppings on the pizza and then broil on high for about a minute to melt cheese, if used. Pick one or more from each section, blend together and enjoy! You can also add a scoop of protein powder if you're drinking it as a stand alone meal. I typically use vegan protein powder instead of whey protein, since I try not to eat very many dairy products. You can also add a tablespoon or two of almond butter, chia seeds or flax meal for some quality fat & soluble fiber. I got this recipe from Civilized Caveman just a couple of days ago. I followed it exactly, except for using a little less maple syrup since I'm always trying to use less sweetener & I just threw everything at once in my kitchen aid. Try them out, they are so good! 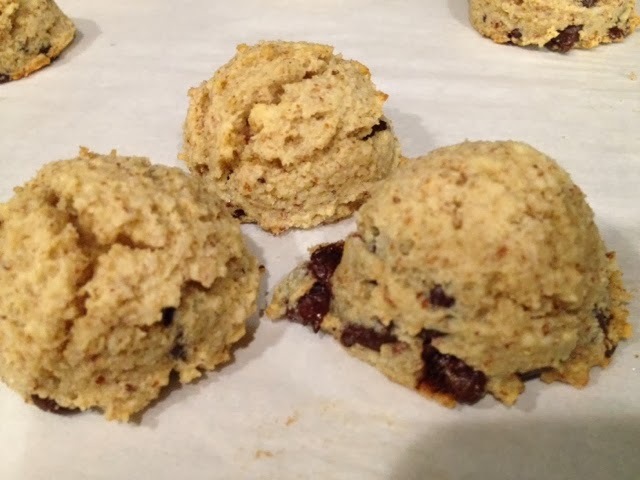 I used a smaller scoop and so the recipe made about 20 cookies as opposed to his larger scoop that made about 12. 8. Remove from the oven, cool and enjoy! Still getting in those 4, 1-cup servings of veggies each day this week? Have you tried any fun recipes so far? If so, please share!